My good friends John & Amy live in the Santa Cruz Mountains above Silicon Valley. They have a beautiful garden in which they grow all sorts of veggies, including this butternut squash. 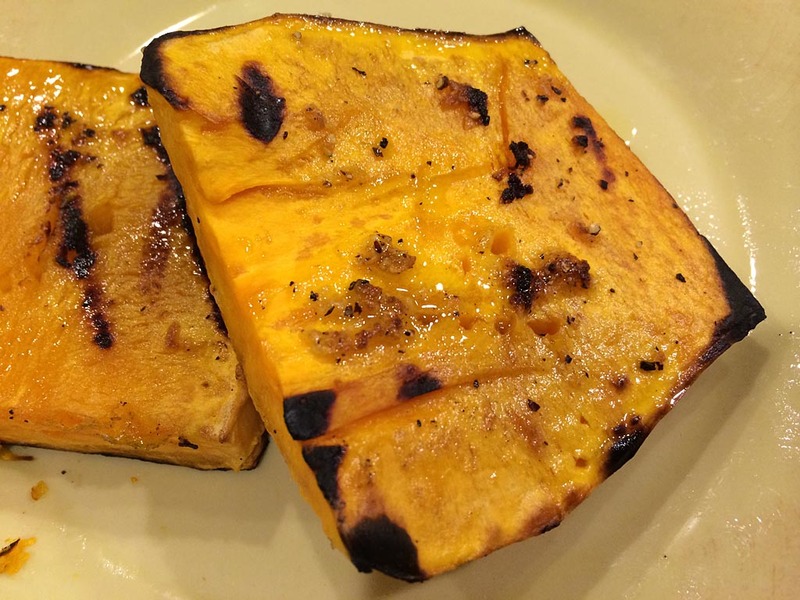 It turns out butternut squash is quick and easy to grill. The hardest part is cutting it up! 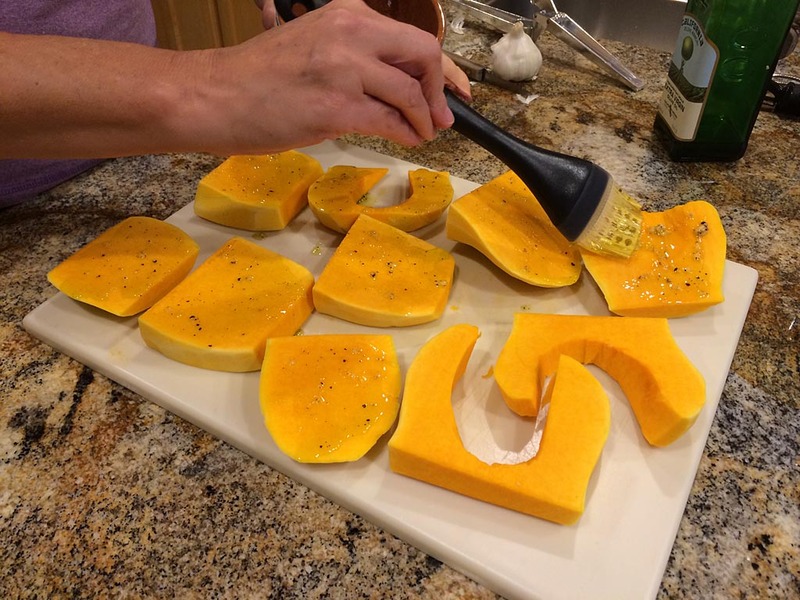 Peel the squash, cut into thick planks, and remove the seeds. Brush both sides with a mixture of 4 tablespoons olive oil, 2-3 cloves of garlic run through a garlic press, and salt & pepper to taste. 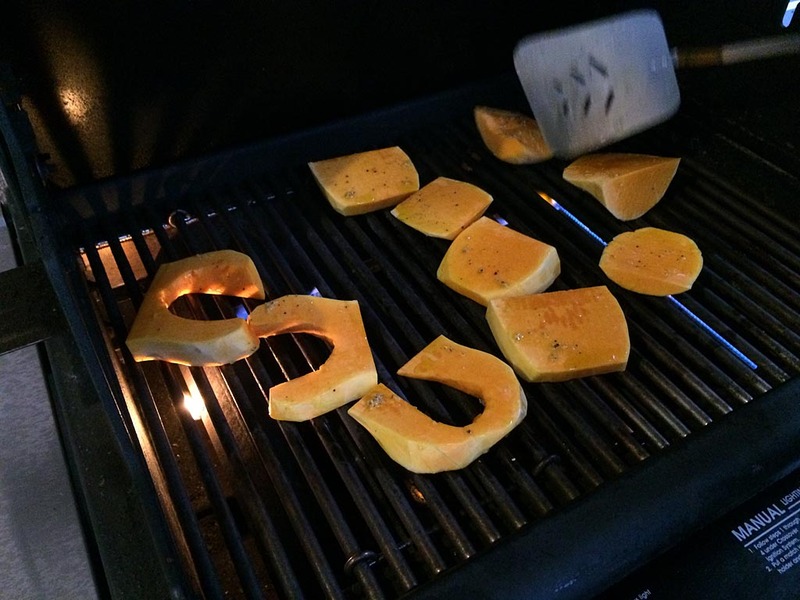 Preheat the grill on MEDIUM, making sure the grates are clean. 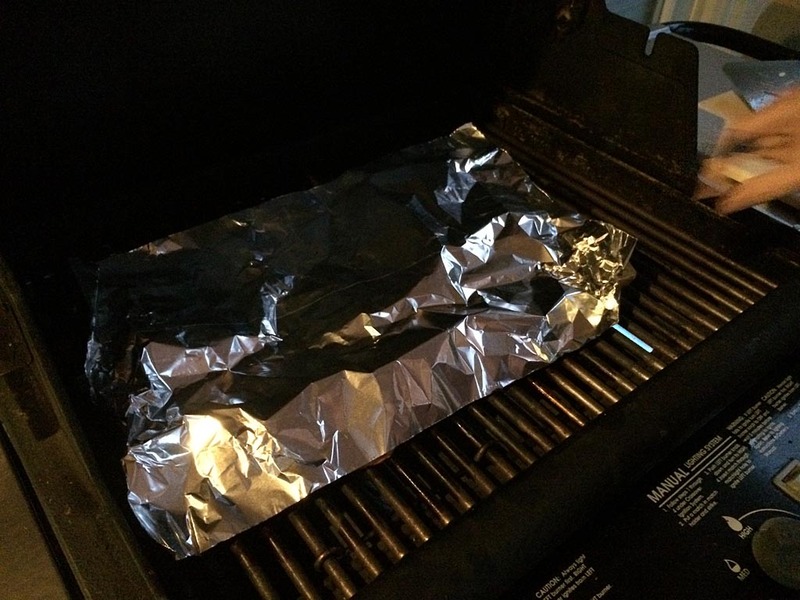 Grill for 6 minutes on the first side, then flip, tent with aluminum foil and grill for another 6 minutes. 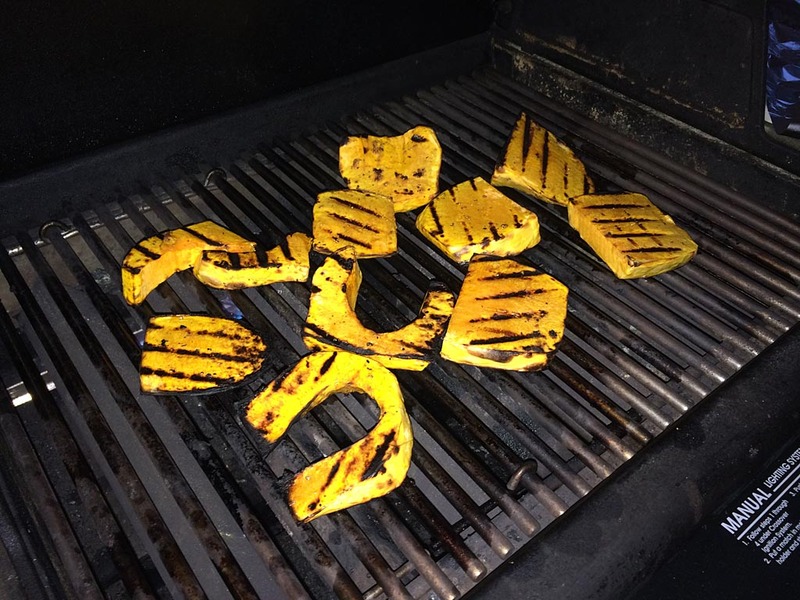 You may need to turn down the heat a bit to prevent burning if your grill runs hot. 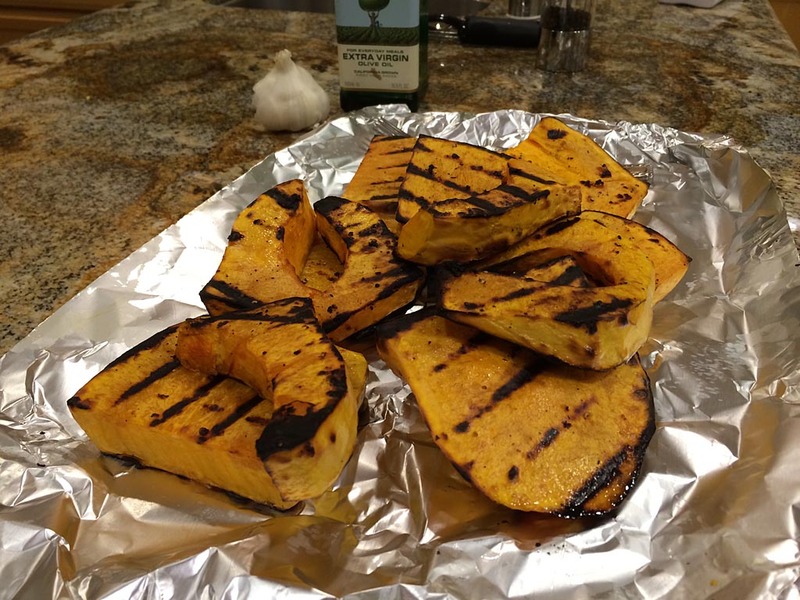 The squash is done when you’ve got good grill marks and the flesh is soft when poked with a fork. To serve, drizzle with a little EVOO. Taste for salt and sprinkle with more kosher salt, if needed. Enjoy!